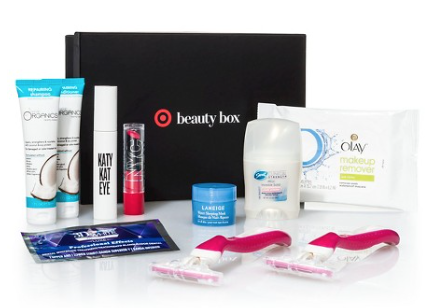 Target Beauty Box - Now Available! It's time for another Target Beauty Box, this one being Back to College! It's been live for a few hours, but it seems to be hit-or-miss with if you will be able to buy it. I spent a few minutes trying to buy it on the website, where I received errors left and right, and I finally called to get it ordered. There is also currently a glitch where you do not get free shipping unless you have a RedCard, and I'm not sure if they are fixing it or not. This box is $7 (plus the $4 shipping sometimes) plus tax. Are you getting this box? Were you even able to get it? Let me know!